One of the reasons why humanity has still not recognized the level of the ancients' knowledge lies in the incorrect reading of the hieroglyphics or pictographs. The most important aspects of the knowledge passed down by the priests from generation to generation was recorded in the language of symbols rather than words. A pictograph can contain several levels of information (meanings). Individual symbols contained the sense of a whole doctrine, while to express a single idea in words sometimes requires volumes of books. Moreover, verbal records leave room for incorrect interpretations and manipulations. The ability to read sacred texts written in the hieroglyphic language was lost long before the demise of Egyptian civilization. The priests of the last dynasties were no longer the bearers of knowledge, aware of its true meaning. When placing hieroglyphics on the walls of temples, they had about as much understanding of them as an ordinary clergyman today does of a book on quantum physics. That is why the teachings of the ancients on, say, the "energy of life" which reached Aristotle through Thales of Miletus and came down to the present day were interpreted incorrectly. What actually was the distortion of the theory of the "water of life" that Thales brought from Egypt? We shall quote exactly the corresponding statements. which had the meaning of the concept "energy" is still today translated by classical Egyptologists as "water"! Apply your logic and take a look at the symbol. It strongly resembles a sinusoid. In mathematics, the sinusoid is used to describe a wave or oscillatory process.Such an analogy arises naturally from the observation of the movement of waves on the surface of water. Everything the matter consists of is a consequence of the interaction of verious vibrations of the environment. Therefore, the symbol that resembles a wave was used as naturally reflecting the essence of this process. If we replace the word water in the statement above with "energy", we get close to what lay at the very foundation of the doctrinal world view of the Ancient Egyptian priests. constantly arising, and to energy everything returns. The meaning of the symbol becomes even more obvious when our glance, traveling over the walls in the burial chambers of Amenhotep III, Ay and Toth-Ankh-Amon (Tutankhamen) in the Valley of the Kings stops upon the depiction of the priestess Ur–t Hekau, whose name translates as "the possessor of sacred force". Above her palms is the familiar hieroglyph, indicating that the hands of the priestess recorded here are radiating the energy that not only ancient, but contemporary psychics and spiritual healers use to influence the energy structure of the human being. In the light of this, the "Myth of the Creation of the World" assumes its true meaning, revealing to us the secret of what the ancient pre-dynastic priests knew about the beginnings of all that exists. immobile Ocean of Primordial Energy immersed in gloom (Nun). God created himself out of the primordial energy. THE CREATION The sarcophagus of Seti I. The twelfth division of the Duat.  The gods sailing in the boat of Ra symbolizes the process of cognition (self-cognition). Movement in the Creation implies that events take place in space and time, i.e. 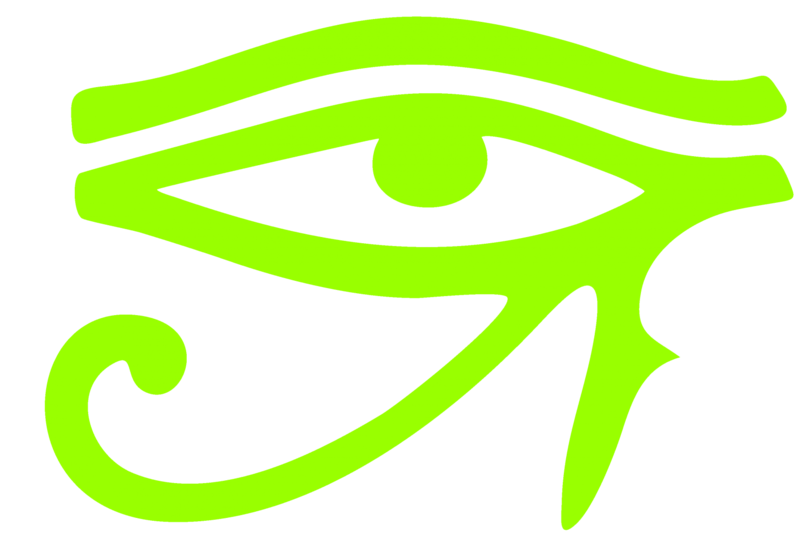 the Universe that is perceived by the senses, begins to exist as a mass of moving entities.The wavy lines forming a background to the depictions of the boat of Ra, Osiris, Nu and Nut indicate that all the action described is taking place in the energetic environment. The god Ra (Kheper) is depicted in the guise of a scarab beetle. The word kheper, translated as "development" literally means "rotation", while the word paut means "the primordial matter or substance" from which everything is made. Thus, described here in a brilliantly simple manner is the mechanism by which through wielding energy (changing its speed of rotation (and spin), intensifying and differentiating it), God creates everything: "the gods" and all sorts of life forms. That is why the scarab rolling a ball of dung (reflection of God rotating a clot of energy) was the symbol of the great creative process of Kheper. The observant philosopher of Antiquity who wanted to record the idea for posterity chose a visual image that was seen every day and readily understood by the dwellers of the desert.This image was appropriate because, with the daily encounter with the scarab, people turned in their thoughts from earthly cares to the Supreme Being. The image of the scarab Kheper was something like the catalyst for instant meditational concentration on the nature of God the Creator. «The sacred beetle was a symbol of self-creation, as the Egyptians believed that the beetle emerged spontaneously from the ball of dung (which in reality serves as a protection for the eggs and larvae that emerge from them). Thus, they venerated the anthracite-black dung beetle under the name Khepri, that is "he who comes from beneath the earth" and long since associated it with the Creator-God Atum and viewed it as an image of the Sun god. Just as the beetle pushes a ball of dung before it, they believed that Khepri rolled the sun disk across the sky. The solar beetle that gave light and warmth, reproduced in soapstone or pottery became one of the favourite amulets and was placed with the dead as a symbol of re-emergent life». The idea that came down through time of the environment being an ocean of energy was an all-embracing and widespread one that found reflection not only in fundamental spiritual doctrines about the nature of Creation, but also in prehistoric pottery that played the role of a kind of visual theoretical textbook. Look at the depiction below. This composition found on an Ancient Egyptian vase is interesting as it contains several layers of useful information hidden from the eyes of the uninitiated. The four pyramids in the centre are direct evidence of the existence of pyramid complexes in prehistoric times. The pyramids, animals, birds and human beings are placed on wavy lines, symbolizing the idea that the Earth and water are sources of energy. The wavy lines running upwards are geological faults through which, as if through channels, the Earth's energy flows make their way to the surface. The composition as a whole explains that the "bowels" of the Earth are a source of energy for birds, animals, human beings and pyramids.The sets of four short zigzags above the human beings and pyramids are energy flows running from the Earth and the tips of the pyramids upwards to the sky that is represented by several rows of wavy lines showing that it too is an energy-filled space. The integrity of this knowledge and the broad distribution in deep Antiquity of a single language of symbols is shown by symbols found on the walls of dolmens across an area extending from the Black Sea coast to the mountains of the Western Caucasus and also in Ireland. - restore an organism's bio-energy rhythms by synchronizing them with the flows of energy emerging from the depths of the Earth. That is why on some dolmens we come across vertical versions of the pictogram symbolizing the upward flow of energy, coming from the Earth. In speaking of energy, the vitally active element of creation from which all the rich variety of life forms proceeds, we at the beginning of the new millennium are capable of grasping what lies behind these words. For centuries, this ancient knowledge remained as inaccessible for humanity, thrown back into the night of ignorance, as it was in Aristotle's time. More than 5,000 years before Thales visited Egypt, its priests possessed precise knowledge in the natural sciences – and it is only the vanity and blinkered attitudes of representatives of science, still unwilling to acknowledge such "predecessors", that prevents the study and perception of the evidence left in stone by Ancient Egyptian culture as the expression of scientific knowledge and methods, above all in the realm of medicine and parapsychology. That knowledge and those methods are of a comparable level at least to ours today, and in a number of instances go far beyond what our civilization has yet accomplished. Thus, the title of the text from the Book of the Earth mentioned earlier could at the least be corrected to become He Who Conceals (Time), A Personification of the Energy Clock. What we have seen above is far from the only example that sufficiently proves the highly scientific approach to understanding and description of the world. It is one more weighty reason to consider the ancient texts more attentively, with an understanding that they may contain priceless information for us. Thus, the title of the text from the Book of the Earthmentioned earlier could at the least be corrected to become He Who Conceals (Time), A Personification of the Energy Clock. "errors encountered in the texts confirm that the copyists around 3000 B.C. were dealing with texts that already at that remote time were so ancient that many places were simply indecipherable. In addition, the scribes recopied a considerable part of the texts without understanding their meaning. Copying what had survived and trying to fill the gaps in the text, the scribes made additions and interpolations, striving to make the text accord with their own views. Moreover, with frequent use of the expression "ki chet" — "in other words", the Egyptian scribes sought to show their readers that they themselves did not know which version of a text was more reliable. Recent research has shown that the scribes and sages of the 19th dynasty encountered no fewer difficulties in reading some hieratical texts than we do now, they were just as uncertain about just how they should properly be interpreted". 2. Egyptologists translate the word Duat (or Tuat) as "the afterlife", the underworld of Egyptian mythology. Originally people "located" it in the eastern part of the sky, where the Sun rises. Later the concept of an underground Duat arose. Egyptologists admit that the topography of the underworld in Egyptian mythology is exceptionally complex. The Aukert (a synonym of Duat) was divided into twelve regions or nomes, each of which the ship of Ra passed through in a particular hour of the night. What really lies behind the concept of the Duat is something you will learn later on in our account.